It appears things got ugly in the locker room following the Lakers' 115-101 loss to the Golden State Warriors Saturday night. 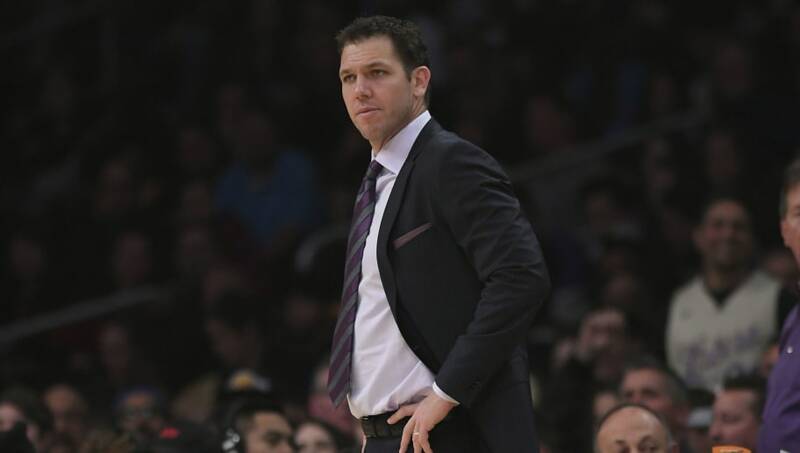 According to NBA insider Shams Charania, veteran Lakers players, Michael Beasley in particular, had a heated exchange with head coach Luke Walton after the game and the confrontation nearly came to blows. Walton reportedly questioned the players about their selfish play in the last quarter, after Los Angeles was up 10 midway through the third quarter before the team was outscored by 12 in the fourth. ESPN reported that Beasley and center JaVale McGee did not care for Walton's postgame comments or his choice of player rotations. The Lakers were once again without LeBron James, who was held out of the matchup against the defending champs just two days after returning from a groin injury. According to reports, James did not suffer a setback, but after playing 40 minutes in his return to the hardwood on Thursday, The King missed the game due to "load management." Los Angeles, which has been at the center of trade rumors for Pelicans star Anthony Davis, has a huge four-game Eastern Conference road trip heading into the All-Star break. A winning record during the four-game swing would be a nice start in the Lakers push to secure a playoff spot in the second half of the season, with or without AD.